Shop batteries and chargers. 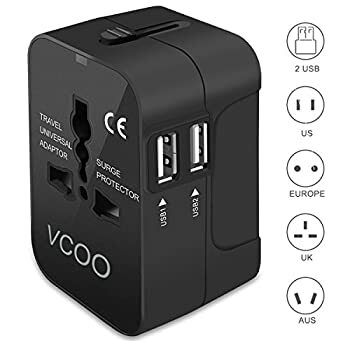 Our recommended charging devices are essential for staying charged throughout your adventures. Don’t be without power and miss that perfect picture, video or even call when you need. Whether you are needing extra batteries for your GoPro’s, need to recharge your iPhone on the go, or want to pack your cords neatly, we have you covered. Shop batteries & chargers today! Shop our top brands from DJI, GoPro, Wasabi and more. Great for vacations, weekend getaways and everything in between, so buy your gear today before your battery runs out. All of the products reviewed on PlentifulTravel.com have been tested us so be sure to check out our product reviews of these bags in action for more information. All products can be purchased through Amazon so most qualify for Prime Shipping (if you have a Prime Membership). Order your batteries and chargers today!